What’s the point of a writing retreat? Luxury for a privileged few – or a strategic move? A well-structured retreat can make your writing happen, on site and long after your return home. I don’t like being told what to do. Perhaps even more than that, I dislike having to tell others what to do. So what on earth possessed me to fly all the way from central Finland to western Scotland to do both, and train to facilitate writing retreats? Enabling writing is what I do, and I wanted to try doing it in the same room as other people. As a translator and editor, I midwife academic texts for a living. This means much more than just “fixing the English”. 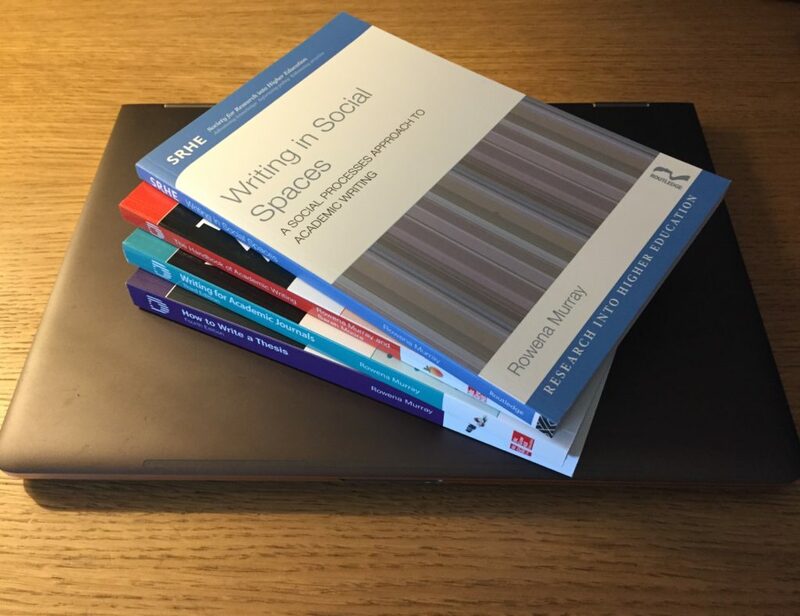 A week before this course someone told me, “I’m just so amazed how you can revise the text so that even I, as the writer, can make better sense of my own ideas!” I was delighted, but we have never met – our conversation is entirely in comments in Word and by email. For some time, I had been feeling that this wasn’t enough. Many writers I was working with could benefit from some other approaches, which they weren’t finding in their institutions. It was time to leave the comfort of my own home office and do something about it. One reason for coming to Howwood near Glasgow was to meet other writers, face to face. Writing together does not necessarily mean working on the same text: one can write with others who have a similar sense of purpose, in the same space. 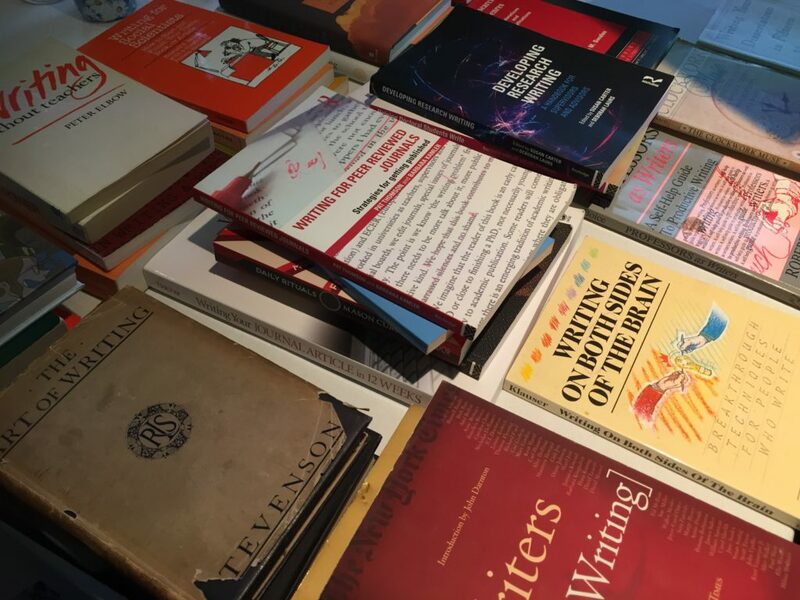 A dozen writers did this training; professors, senior university administrators, editors, an engineer, a psychologist, an archaeologist, a cancer researcher… we had had a lot to say to and learn from each other. In retrospect I realise I wrote a lot of my own PhD as if I was on writing retreat – living in a house share with other doctoral researchers. We’d work together in the then newly-opened British Library, stop for lunch and to plan what to cook for dinner (“I’ve got half a courgette”/“I’ve got some pasta”) and move on to talking about our work. We took different approaches – one of us literally cut and pasted bits of her handwritten paper text on the floor – in different institutions and departments, so we could help each other without competing. Our quick chats about our work helped us move on before our supervisors knew anything of it. A writing group or writing retreat can create that same common purpose and move your writing forward. It forges unexpected connections. A shared space makes writing come out. Usually we don’t see each other doing it; it is pushed off our agendas and out of our office hours because so many other things come first – teaching, management, finding funding, other work, paid and unpaid, the rest of life. Writing is usually invisible, but outing it, making the process explicit, removes some of the concerns and barriers that stop us getting started and helps us set specific goals, monitor them, and meet them. Putting writing first like this requires structure. 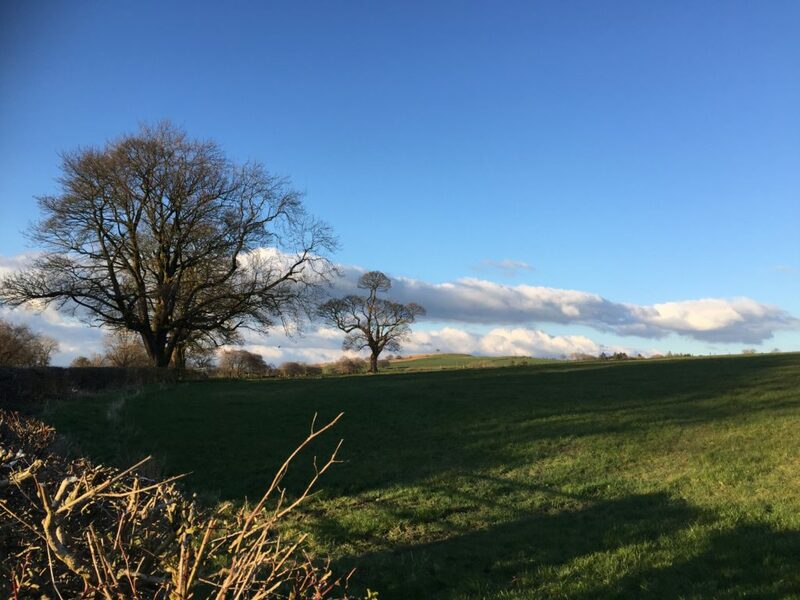 A structured writing retreat creates space for only writing, offline, within timetabled slots lasting from 5 to 90 minutes, with plenty of breaks for exercise, eating and rest. This adds up to 10.5 hours of writing – doing nothing else, not even checking a quick reference – over 48 hours. When was the last time you did something like that, and felt energised at the end of it, and itched to write more? Structuring writing to put it first is a strategic choice. You will do the other things, just not now. And not writing for too long means that there will be time for the other things. The facilitator leads that process and ensures that everyone writes enough, but not too much. This means telling people to start and stop writing on a fixed schedule that can feel artificial. It means cutting off conversations, even if people are talking about their writing for the first time in years, perhaps ever – and getting them back to actually doing it. Before the course, I wondered how on earth one could monitor and enable a roomful of strong-willed academics and get any writing done oneself. Now I realise that’s not only possible, it’s desirable. A facilitator who is writing too is not just leading or modelling, but actually doing the same thing, moving in the same direction, as the rest of the group. And I found that it works. Writing takes persistence, and a persistent facilitator can help you persist, by prioritising and enabling the writing. But what happens next, when you come out of the structured social space and try to maintain the process in real life? When is the next time you’re going to write? With whom, where, for how long? One colleague on this course said she always stopped mid-sentence, so she knew where she was going to start next time. Stopping while the going was good meant you were more likely to want to go back to it. Writing meetings with a partner, regularly monitoring what you’ve written and what exactly you’re going to write, can keep you at it. In this way, you bring the energy generated on a retreat back to where you came from. As I flew home from the course, I changed planes in Amsterdam. I had just ten minutes at the charging station by the gate to send some messages and write some thoughts down. As the last few people boarded, I unplugged my charger, and the girl with her laptop next to me was startled out of her concentration to get on the same plane. “I just needed get a bit of work written” she said, grinning. And off we flew. I attended Rowena Murray’s training for retreat facilitators in April 2019, and took these photos there. Is a writing retreat for you? Are you a translator who needs to make time for your own writing so you translate better? Are you an editor who wants to help your authors in a different way? Are you an academic whose writing gets pushed down your agenda because of teaching and admin? Are you writing something new, and want to try how writing together can help you progress? I would love to be a part, and attend any of these! Translating Swedish-English, academic and literary, in Skåne and LA. Keep me posted!